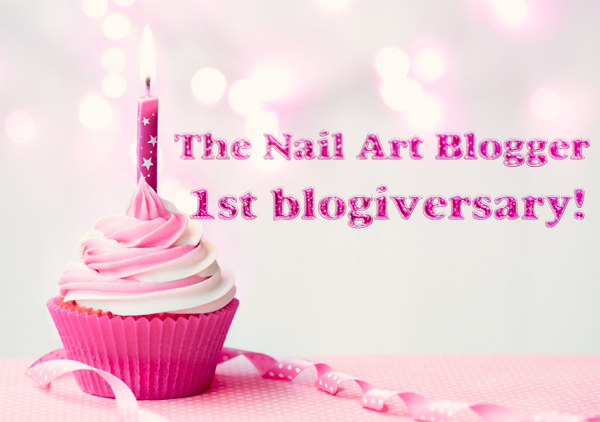 The Nail Art Blogger: First blogiversary! Happy blogiversary to me~ My blog is one year old! 1. What/who encouraged you to start blogging? 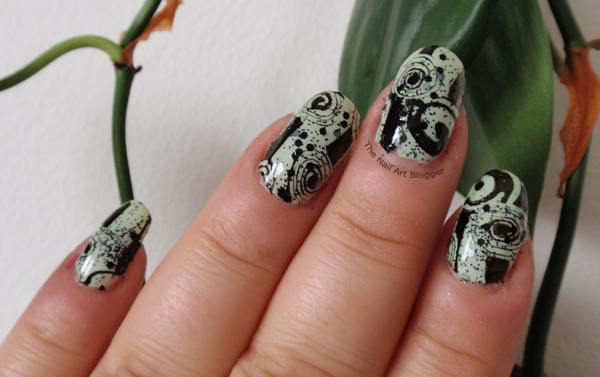 I wanted to share my nail creations with people other than my family and friends, and I like writing, so I decided that a blog is the best way to share my work. 2. How did you choose what topic(s) to blog about? Well, it's completely random. I get inspired by everything (literally) around me. From a tissue box to fashion. 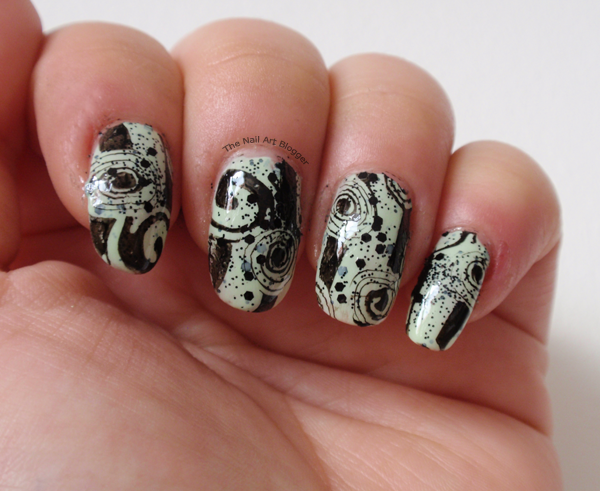 And sometimes I put them into a the form of nail art. When the result is successful, I post it. When not, well, it doesn't stay on my nails long enough to get photographed to begin with. 3. What is something that most people don't know about you? 4. What three words describe your style? If we're talking nail art style, I don't have a specific one. As for my fashion style, I'd say comfortable, elegant, simple. 5. What do you like to do when you are not blogging? I don't blog as often as I should. But my days are usually filled with work, watching TV shows, reading, and being online in general. It started off as a lazy day of not wanting any designs on my nails, so I used a speckled mint polish from Yes Love as base. And once it was dry, I decided that it was not enough. 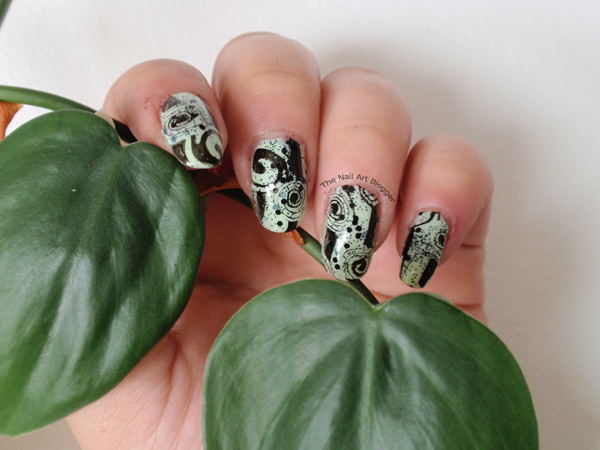 I needed to add something, so I grabbed my Pueen Stamping Buffet and picked plate number 62, and stamped it using a black stamping polish from Essence. And topped it off with a top coat. Hope you enjoyed reading this post. If you want to know more about me, don't hesitate to ask in the comments! A very late reply, but thank you! Leuk dat je al 1 jaar blogt! Sorry dat ik zo laat ben met het reageren, maar dankjewel!